As a student, James Mayes completed five study abroad trips with Augusta University, included this one to Senegal. He now holds a school record, having taken more trips paid for by scholarship and fundraisers than any other student or alumnus in Augusta University history. Smiling, James Mayes (BBA ’08, MBA ’10) rounded, torn from the sight of the Eiffel Tower painted against a backdrop of early evening sky. The structure’s gentle curves — lit up and glistening with the dusky glow of a thousand lights like candle flames — had become a comfort during his brief stay in Paris. So too had that familiar call. Since coming to France a few days before, Mayes and his friends in the Augusta University Study Abroad program had made a habit of sneaking off from their hotel to wander the Champ de Mars by night. The local Parisians, generous with their time and with their wine, had made a habit of finding them. Across the lawn, a man was gesturing toward him now, signaling for James and his group to come over to share a drink and some moonlit conversation. 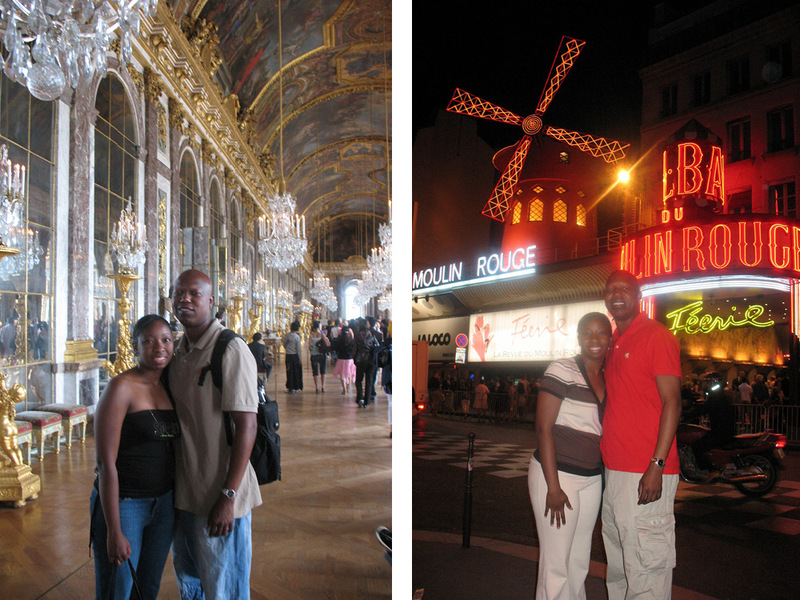 During his brief stay in Paris, Mayes had the opportunity of a lifetime. He’d have plenty more to come. Then-candidate Obama had recently come to France as part of a European tour, and curious Parisians were desperate to learn all they could about the smooth-talking politician from Chicago. Years later he would recall this encounter, along with so many others, with an almost crystalline clarity. The second of Mayes’ five student trips, Paris would prove one of the most eventful. In three weeks’ time, the young marketing major would meet not only the international marketing director for French fashion phenom Louis Vuitton but also the marketing director for the U.S. Embassy. The latter, during a student visit to the embassy, asked Mayes and company where “home was.” A Florida native, Mayes told the director about his connection to the Sunshine State; the response was almost too good to be true. Singling Mayes out, the director explained that Charlie Crist, then-governor of Florida, was in Europe vying for a spot on then-presidential candidate John McCain’s 2008 ticket. Mayes agreed, and later that week, found himself dining at the Hôtel de Matignon — the “French White House” – alongside his governor and several other dignitaries, both French and American, as a formal guest of the U.S. Embassy in France. Opportunity can be a funny thing, though. Mayes has a few stories like the one above. He holds a Study Abroad record, having taken more trips paid for by scholarship and fundraisers than any other student or alumni in Augusta University’s history. The first student ever to pay for a Study Abroad trip by way of scholarship and fundraiser, he sold Yankee Candles — sometimes door-to-door, but usually to businesses around the holidays — to pay his way overseas. Forty percent of every candle sold went toward his trip goal. Today roughly 35 percent of the university’s student travelers use scholarships and fundraisers to pay for trips — a drastic increase in just the last decade. Maria Darley, director of Study Abroad, said that number is still climbing. Last year, Study Abroad awarded more than 120 scholarships to student travelers, each paying for around 10 to 20 percent of a trip’s total cost. The number of repeat travelers is also increasing. That’s a windfall for students looking to enter the job market right after graduation. 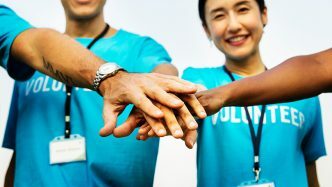 In an industrial climate that’s become more globalized than ever before, a deep appreciation for cultural diversity reads more like a resume boost than a point of pride to potential employers. Simply put, more travel means more experiences. Those experiences, in turn, open doors. Mayes encountered one such door on his first international outing. During his first “real” trip outside the country — excluding a brief Caribbean vacation — Mayes underwent something of an awakening. From an academic standpoint, he earned credit for a business technology course and another on social problems, but from an emotional standpoint, he left South Africa with something more. A deeper, more nuanced definition of love. In Cape Town, he met an angel. Named for the late Amy Biehl, a white anti-apartheid activist and victim of racial violence in South Africa, the Amy Biehl Foundation strives to develop disadvantaged communities and prevent violence in and around Cape Town. While visiting the country, Mayes and his group met with Easy Nofemela and Ntobeko Peni — two of the four men convicted of Biehl’s murder — as well as the woman who fought for their release from prison. Amy’s mother, Linda Biehl. In the aftermath of Amy’s murder in 1993, Linda “unofficially adopted” Nofemela and Peni after the pair approached her and her late husband, Peter, begging their forgiveness. The two men still work for the South African branch of the foundation. The meeting had a lasting impact on Mayes. 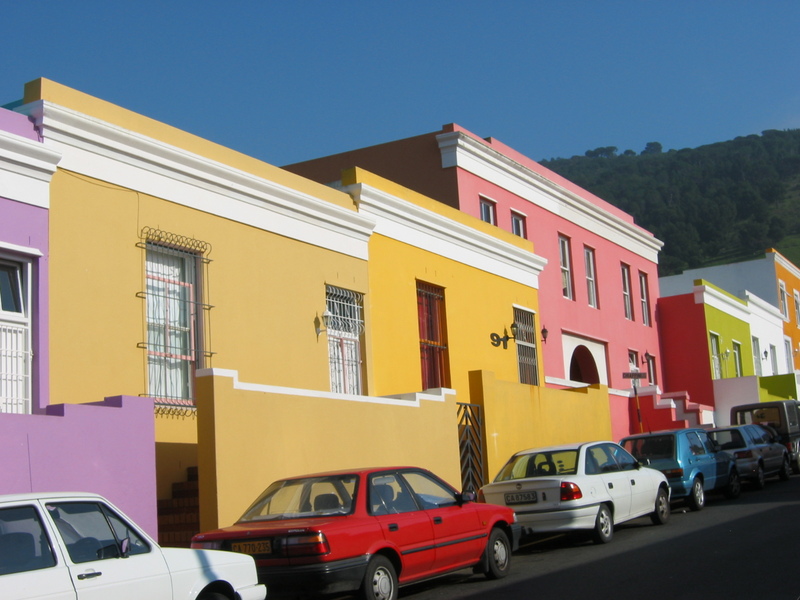 Today, the Bo-Kaap neighborhood is famous for its tightly packed, brightly colored houses. Its past is far from sunny, however. The area once housed slaves brought to Cape Town from Southeast Asia. Like much of the city, it still bears the scars of apartheid. Eager to lend their support, Mayes and his group worked alongside local students and representatives from the foundation to build a greenhouse for a community with no access to running water. Working in the heat, far from home and all its comforts, Mayes couldn’t help but feel privileged. He’d worked hard to make it this far. Harder than many, if not all, of his peers in the program. But he knew even at his most exhausted, he’d never worked as hard as the children next to him — teenagers hefting heavy panes of glass and lining up metal framework, not to experience or witness something new, but to bring something vital to their own community. Mayes’ third trip, to Senegal, got off to a rocky start. By that time in his academic career, stories about Mayes’ fundraising efforts had gotten around. A few of the other students on the trip — for some, their very first trip outside the country — had paid their way using his advice. Scared for his life, Mayes said he was keenly aware of that fact. But the young man, he would soon learn, was no threat to anyone. 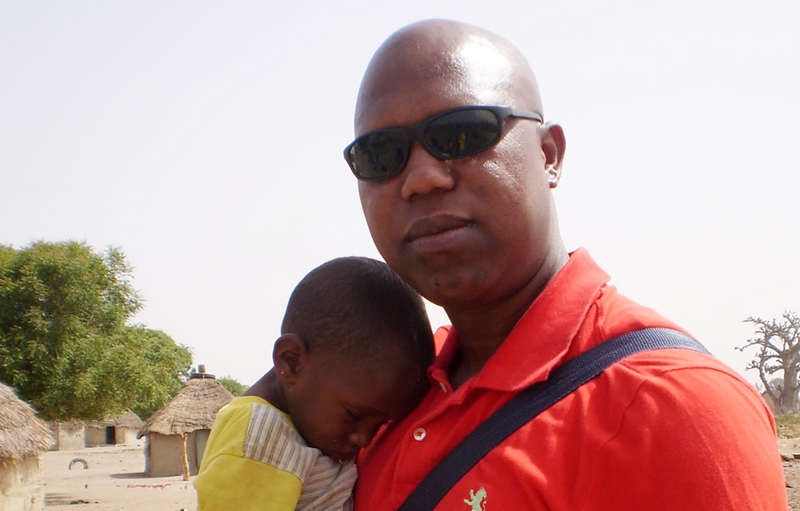 He was a Senegalese detainee slated for deportation. Flight attendants made the rounds after the group had finished boarding, reassuring passengers that everything was alright. But by then, the impression had already been made. Things got even heavier on the ground. During their trip, Mayes and his group met with representatives of the SEED Academy, an organization that promotes education and basketball to Senegalese youth in the hopes of sending more students off to college. According to UNESCO data, roughly 60 percent of Senegal’s population is under the age of 26. One of the world’s youngest countries situated on the world’s youngest continent, Senegal struggles to educate its youth. Less than 10 percent of students make their way to university. The SEED Academy, an arm of the greater SEED Project, aims to change that by teaching students useful trades and supplementing their education with basketball practice. Several SEED Academy graduates have gone on to attend college in the United States on basketball scholarships. While visiting with SEED officials, Mayes met an up-and-coming star: Gorgui Dieng, current center for the Minnesota Timberwolves. Gorgui, one of SEED’s greatest achievers, would go on to transfer to a high school in the United States before attending college at the University of Louisville on a basketball scholarship. From there, it was a short leap to the National Basketball Association. On the same trip, he traveled to the country’s interior where he and his group visited a small village. They met with the women and played with the local children, trading stories and learning about the day-to-day struggle for life in rural Senegal. Meeting the village’s children was an especially emotional experience. The image of that little village, six or seven tumbledown huts all packed to the brim with families, stays with him. 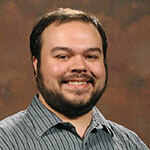 For the past two years, Mayes has co-led the Cuba study abroad trip for Hull College. 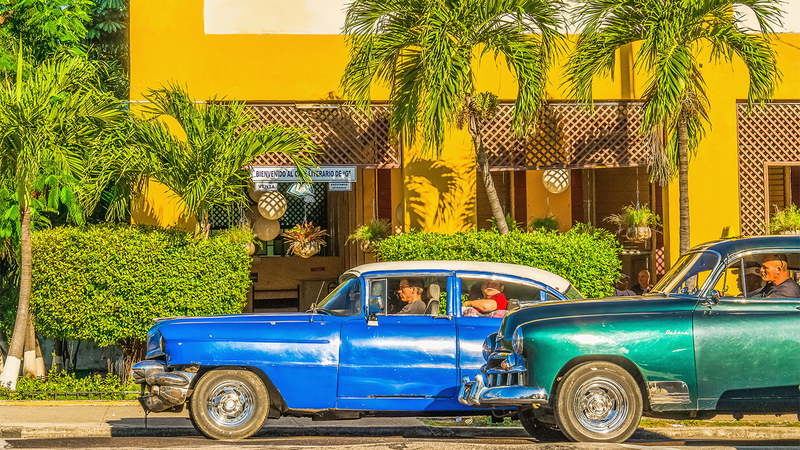 Cuba is brimming with vibrant colors and historic locations, such as the “Café Literario del ‘G'” in Old Havana. 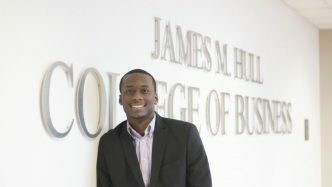 In the spring of 2019, Mayes, a program manager in the James M. Hull College of Business, will lead his first solo Study Abroad trip for the university. After co-leading the university’s Cuba trip for two years, he’ll take a group of his own — 24 students in total — to jolly old London. Mayes said he’s confident his experiences will make his trips something special. Darley agreed. She said Mayes’ experience with study abroad, both as a student and a trip leader, means he can relate on a more personal level with students. 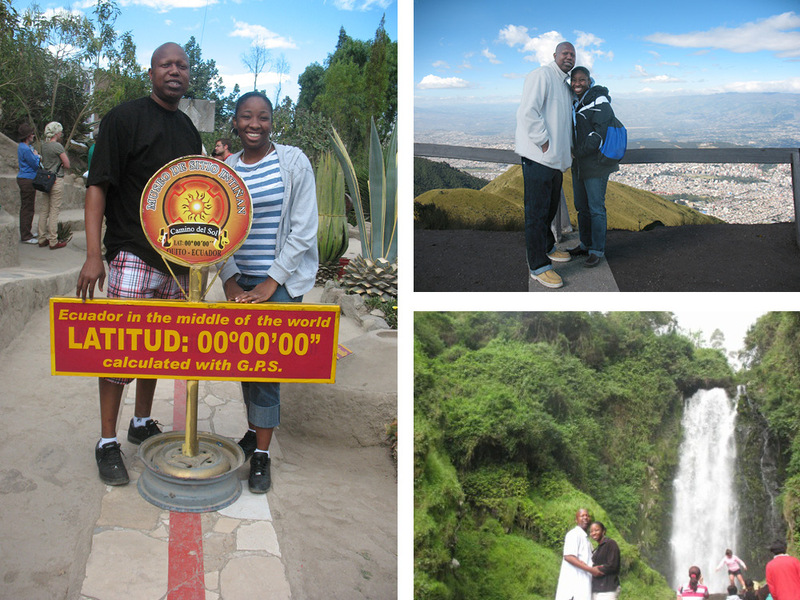 Mayes’ trip to Ecuador is a story in its own right. He stayed with a local family and corresponded with them years after his trip. While the trip is one of his favorite memories, he said getting used to the Ecuadorian concept of “personal space” was a challenge. “They love to be close when they talk,” he said. Mayes said he hopes his students get to experience some of same opportunities he did while traveling, that they get a chance to expand their worldview and learn something new about themselves in the process. Mayes’ London 2019 trip may be full, but there are still plenty of opportunities to see the world at Augusta University. Sign up now for a chance to visit Belgium and The Netherlands, Scotland, New Zealand, or more than a dozen other international destinations.